PCIe SSDs are faster than SATA SSDs. But you may not need one. 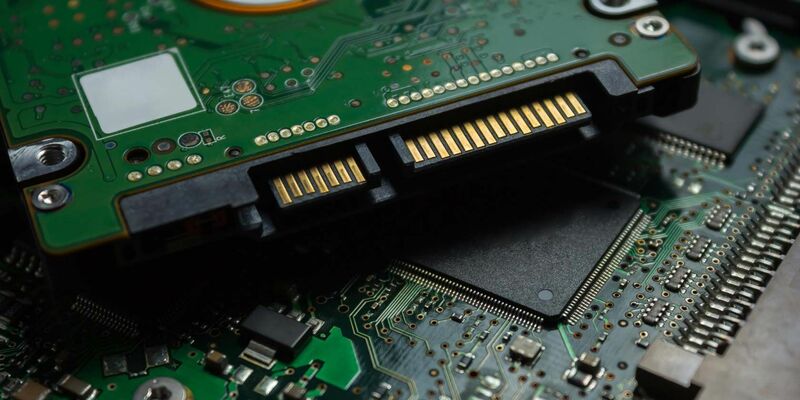 This article explains how PCIe SSDs differ from SATA SSDs. Looking for the best true wireless earbuds? We have great choices for every budget and user to choose from. Real-time ray tracing will soon replace rasterization in graphics technology. But what is it and how will it improve games? Trying to work out the difference between artificial intelligence, machine learning, and deep learning? Here’s what they all mean. Why are there so many different USB cables? Learn the differences between USB connector types and how to buy the best cable. Artificial intelligence is no longer the stuff of sci-fi movies. Thanks to Google’s research, AI can already do amazing things. Did you know that modern Samsung phones have a desktop mode feature called DeX? Here’s what it is and how to give it a try. Excessive heat can damage your computer’s performance and lifespan. But at what point is it overheating? How hot is too hot? Built-in microphone not working on your computer? Here are five ways to hook up an external microphone in just a few minutes. Heard good things about the Robinhood app? Reckon you’re ready to invest through it? Here are several reasons why you shouldn’t. Buying a hard drive is easy if you know some basic tips. Here’s a guide to understanding the most important hard drive features. Fancy the look of some new hardware or software, but doubt it’ll ever be released? You just stumbled on some vaporware. What’s the Best Way to Back Up Data on a Computer? Worried about losing your vital personal data? Data backups are essential. But what’s the best way to back up your data? Bluetooth speakers are famous for their tinny audio. Here are the best impressively loud Bluetooth speakers to consider. Malware has become more difficult to detect. What is modular malware, and how you stop it wreaking havoc on your PC? For safety reasons, adult headphones are unsuitable for children. Here are the best noise-canceling headphones for your kids. There are some good reasons to buy tech products and gadgets from China instead of, say, Amazon. Here’s what you need to know. Which are the fastest USB 3.0 flash drives you can buy? Here are five of the best, ranging from $20 to $200. A good Wi-Fi router name makes it easy to find your own network, but a great Wi-Fi network name is entertaining for neighbors. Confused by the differences between Intel Core i3, i5, and i7 processors? Here’s what you need to know in layman’s terms. Hard drives can be super reliable or complete pieces of garbage. How do you know which ones to buy and which to avoid? The best wireless sports headphones let you enjoy music in the gym or while exercising outside. Here are several great options. Wondering why Chrome is faster than Firefox, or why Internet Explorer feels slow? We explain the science behind browsers. A travel router is a great way to bring portable Wi-Fi on your next trip. Here are some of the best travel routers to consider.